Bulbs for Summer Color - Homestead Gardens, Inc. | Homestead Gardens, Inc.
Can be grown almost anywhere in the garden, Gladiolus are perfect for adding pops of showy color that lasts for week and weeks in between other plants. Dahlia plants will reward you with an abundance of blooms and will grow as full and lush as a mature rose bush. Available in a variety of sizes, colors and even flower shapes! Provide peonies with good soil and full sun and watch these colossal flowers bloom with almost no care! Large, poppy-like flowers in a mix of vibrant colors on low-growing plants. Generally tall plants that will rise above their neighbors as a dramatic addition to any garden bed. Their fragrant blooms are available in a wide variety of colors with spots, speckles, contrasting edges and stripes! Summer blooming bulbs produce some of the most dramatic garden color with minimal effort. Tuck them among your perennials for a traffic-stopping summer display, or create a special bulb garden to wow your neighbors. 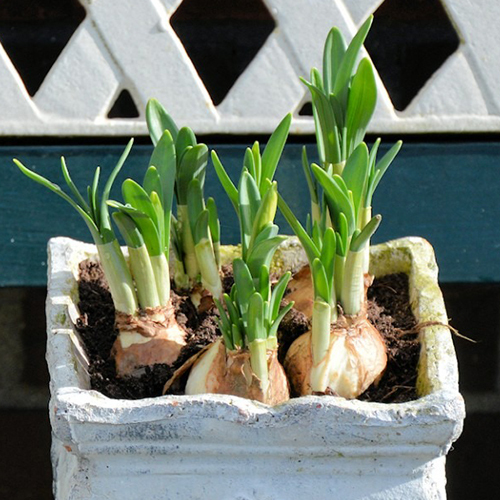 Many of these bulbs are ideal in containers; use them to liven up your porch or deck. And don’t forget to plant extras for cut flower bouquets! Homestead Gardens carries the largest selection of Summer blooming bulbs in the area, with over 250 varieties! We even have a selection of deer resistant varieties. Summer blooming bulbs have arrived! In stores now. Click below for availability in each store. Growing your own vegetables is very rewarding in many ways. If you are looking to expand your garden, or to try something new in your home grown garden, check out our selection of root veggies including a wide selection of organic potatoes, onions and more. What bulbs best attract bees and pollinators to a garden? The answer is simple once one understands how a bee uses sight. Like humans, bees are trichromatic. Whereas humans base their color combinations on blue, red, and yellow, bees base their colors on ultraviolet light, blue, and green. As a result, bees cannot see the color red as they do not have a photoreceptor for it. Bees can see, however, a reddish wavelength such as yellow and orange, however, red appears as black to the eyes of a bee. Bees also see faster than humans, which in turn allow them to see individual flowers from a distance in large groups. As a result, scientists agree that a bee’s favorite colors are purple, blue and white. Most bees, particularly honeybees, hibernate in winter by forming a cluster within their hive to keep the queen warm. They store food reserves for the winter months, and essentially blanket the queen until the temperatures begin to rise. As winter ends and spring slowly begins the need for food causes some to leave the hive and forage. By planting the right bulbs, home gardeners can not only attract pollinators to their gardens in early spring and throughout summer, but they can also provide food to a hive that is dealing with dwindling resources. 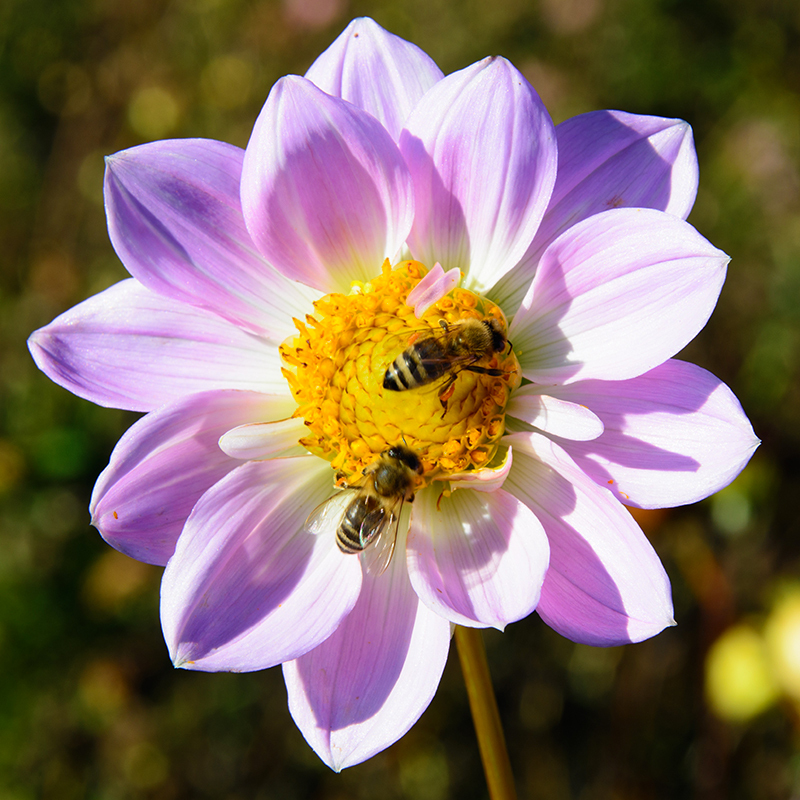 Bees won’t travel too far in early spring, so home gardeners are best planting large areas of bulbs to create smaller distance for them to travel for pollen. For instance, plant bulbs like crocus in large swaths on the lawn to create a naturalistic setting, and also a bee playground. Our suggestion for gardeners looking to attract bees would be of course blue and purple flowers. Red flowers can be placed intermittently throughout the landscape, but most bees will ignore them. Yellow and orange flowers are popular with bees, but a garden consisting only of those colors might not be as attractive to the bee eye, as it is to the human eye. Once bees begin to visit, they will return, providing pollination to the garden throughout the summer, and subsequent years. See frequently asked questions about planting Summer blooming bulbs.